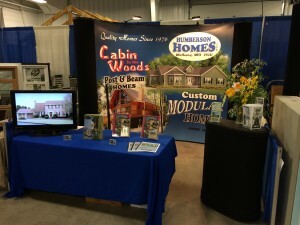 This year marks the third annul Home & Garden Show at the Garrett County Fairgrounds. Come on down and see what’s available in building, remodeling, decorating, landscaping, crafts, and home-related services. DON’T forget to stop by the Humberson Homes exhibit and learn more on our New Home Construction and Post and Beams style Homes. The show will be Saturday June 21, 2014 beginning at 10 a.m. and Sunday June 22, 2014 beginning at 11 a.m. There is no admission fee and ample parking. This is a family friendly event providing even activities for the children.